The youngster was rushed to hospital after being critically injured on Thursday evening, but he died late yesterday. Civil Guard officers leading the hunt for the person who killed him released video grabs of the suspect vehicle – a red car thought to be a Volkswagen – as they appealed for the public’s help. Do you know who ran over a boy aged 10 and then fled the scene without helping him?The youngster is fighting for his life in intensive care in hospital. The hit-and-run happened around 8.30pm on Thursday in a street called Calle Dublin – Dublin Street in English – in Adeje in the south of the island. He is understood to have died Friday evening. Civil Guard officers are being assisted by Spanish National Police as well as local town town-employed police in their hunt for the driver. The youngster has not been named. We received a call about a traffic accident involving a 10-year-old boy at 8.30pm on Thursday. Two ambulances went to the scene along with a doctor and nurse from a nearby health centre. One of the ambulances rushed him to Hospiten Sur with multiple serious injuries. He was subsequently transferred to another hospital. Police say the hit-and-run car suffered frontal damage. It is believed the driver fled the scene without getting out of his vehicle to see how the youngster was. We are sorry to have to inform you that the boy run over in Adeje, an Irish national, has died. 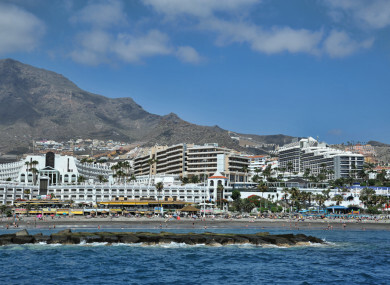 Email “Irish boy (10) holidaying with family killed by hit-and-run driver in Tenerife”. Feedback on “Irish boy (10) holidaying with family killed by hit-and-run driver in Tenerife”.